It should be noted that the organizer of the 1st MOW was Ray Hill from Houston, Texas. Hill was a significant supporter of both trans inclusion and trans empowerment. This slogan came out of the 1968 North American Conference of Homophile Organizations (NACHO). 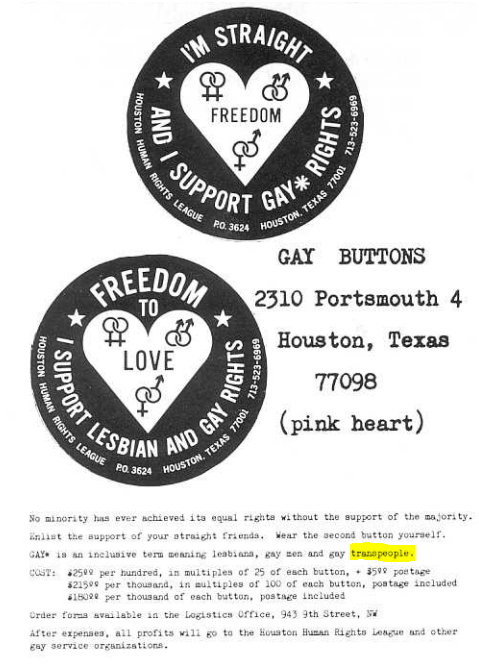 This meeting was largely funded by transperson, Lee Brewster (a forgotten trans badass who also funded the Mattachine Society, founded the Queens Liberation Front, funded and coordinated the NY anti-GLBT legal challenges that overturned NY anti-gay laws, published most of the early national trans magazines and newspapers, and fought early anti-trans TERFs like Jean O’Leary who wanted to erase trans folk from the queer rights movement). 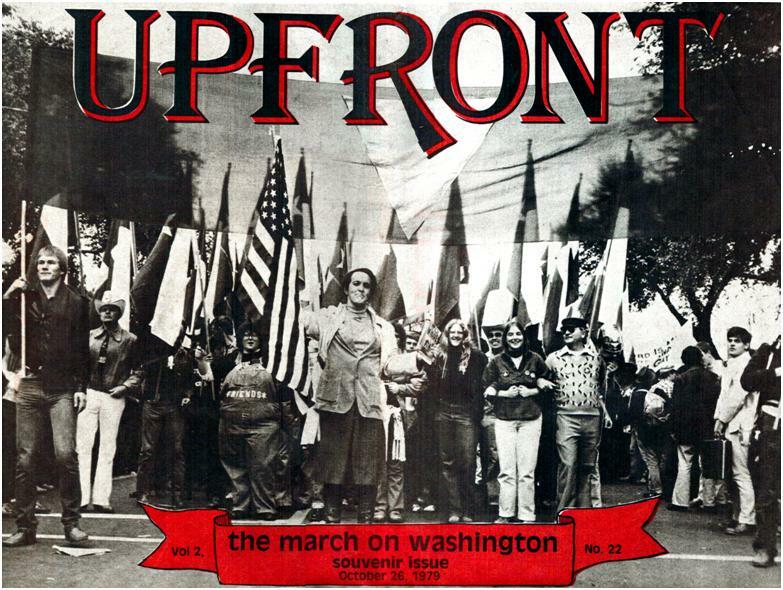 The meeting was attended by Houston activist, Ray Hill (who planned the March with Harvey Milk… Hill was the lead organizer of the March on Washington) along with several other transpeople – including Transgender Foundation of America’s Vice President, Alexis Melvin.